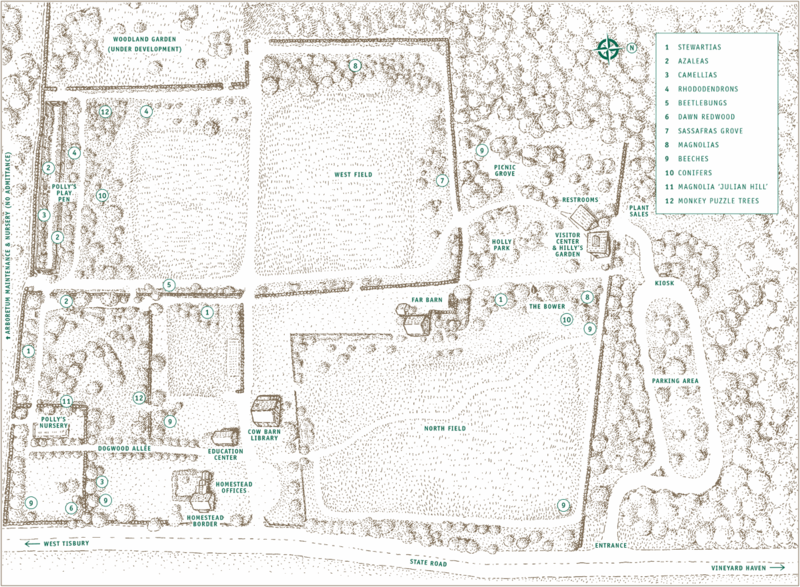 The Polly Hill Arboretum, a Martha’s Vineyard horticultural and botanical landmark, was developed by the legendary horticulturist, Mary Louise (Polly) Hill (1907-2007). Here in 1958, Polly began an arboretum by sowing a seed, eventually bringing 20 acres under cultivation while preserving 40 additional acres as native woodland. Established in 1998 as a not-for-profit institution, our mission is to perpetuate the experimental tradition in horticulture established by Polly Hill by sharing knowledge of plants and scientific procedure through educational programs, research, plant conservation, and exploration. The Arboretum seeks to preserve its meadows and woodlands, to promote an understanding of its collections, and to encourage their utilization for scholarship, observation, and the enjoyment of all.